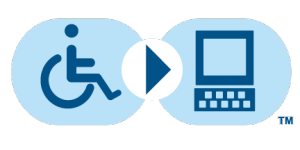 Alabama’s Alternative Finance Program (The Ability Loan Program) for individuals with disabilities and their families allows applicants to borrow money at low-interest and/or for extended terms for the purchase of assistive technology, adaptive equipment, and related services. Alternative financing needs may include but will not be limited to a means of: a) paying for devices not covered by public programs; b) providing a loan sooner than other public programs, and/or; c) having another funding source available. The alternative financing program is administered through the Southern Disability Foundation Inc. , a community-based organization founded in collaboration with STAR. Visit ADRS for application information. Securing a grant may be time-consuming, but it can be a good option to purchase equipment if your funding is limited. Many disability-related organizations offer grants for various purposes. You may want to check with organizations you’re affiliated with to see what they offer. The Governor’s Office on Disability is providing a summary of the New Assistive Devices Warranty Act 2018-448 sponsored by the Governor’s Office on Disability in the 2018 Legislative Session. Read it here. Savings accounts for individuals with disabilities. Learn more at https://al.enablesavings.com. The Brighter Tomorrow Grant from the Multiple Sclerosis Foundation provides up to $1,000 for equipment that improves quality of life by enhancing safety, self-sufficiency, comfort or well-being. Applicants must be diagnosed with MS and be over 18 or be the parent of a minor child with MS and have no existing financial coverage such as Medicaid or private insurance. For more info, call 888/673-6287 (MSFOCUS) or email support@msfocus.org. The Travis Roy Foundation offers grants for anyone who sustained a spinal cord injury from an accident. Applicants must specify a particular piece of equipment to be funded between $2,000-$5,000. To apply for the grant, visit www.travisroyfoundation.org/sci/grants/application/. The Elsie Bellows Fund, operated by United Cerebral Palsy, provides grants for purchasing equipment that increases, maintains or improves the functional capabilities of individuals with disabilities. Applicants must demonstrate financial need and not have other funding resources. To learn about the Elsie Bellows Fund, email info@ucp.org. Loan closets and organizations that recycle used medical equipment can be a no- or low-cost alternative to a costly purchase. They can also be great places to donate equipment that you’re no longer using. Equipment loan length can range from temporary to as long as you need something. The Muscular Dystrophy Association operates one of the largest equipment programs in the country for people with neuromuscular diseases. You can get more information about the program by calling 800/572-1717. For more organizations that can provide used equipment, please visit www.rmmor.org/nonprofits.htm. The Ralph Braun Foundation and the National Organization for Vehicle Accessibility works nationally to provide vehicle modification grants to individuals with disabilities in need of financial assistance. This link gives the details on the National Organization for Vehicle Accessibility eligibility requirements.